On the left is the standard foot for a person who grew up wearing shoes. Notice how the bones are crooked instead of straight. 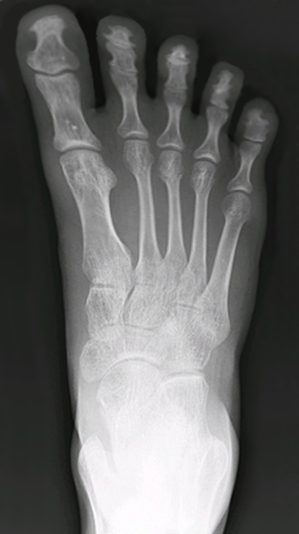 On the right is a healthy, natural foot. The toes fan out like duck feet. The extreme of this is known as foot binding and was practiced in ancient China. Today, shoes cause slight foot binding. The severity depends on how often a person wears shoes and the curvature of the toe box. 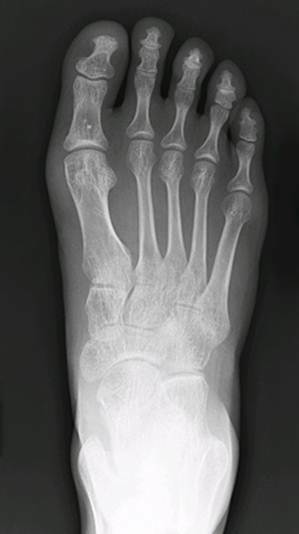 Slight foot binding causes toes to be cramped and slightly overlap each other. Feet do not grow as wide as nature intended, especially at the toes. This results in less stability when standing. The pinky toe grows curved, weak, and useless. And perhaps most tragic: nerves get compressed and pinched. People experience shooting pains when turning suddenly or putting weight on the toes. It’s known as Morton’s neuroma. Numbness and swelling also result from pinched nerves. In general, why should one choose to be natural over unnatural? Because humans are a part of nature; humans will always be bound by nature’s limitations. To live as nature does not intend is to swim against the tide. It’s futile. Society needs to accept the fact that toes spread out and make functional shoes.